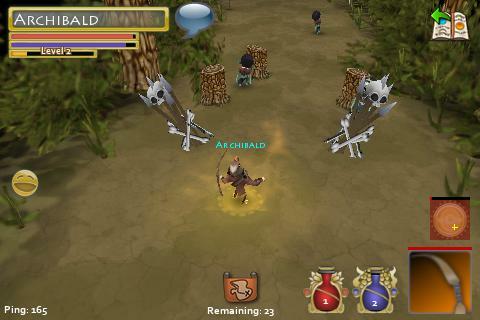 Space Time Studios’ Pocket Legends is a scaled-down free to play MMO for the iPod/iPhone/iPad. It offers three basic classes, along with typical MMO feature such as leveling, upgradeable stats and skills, etc. It has been getting very good initial reviews. Space Time’s free to play model seems to be selling additional content/areas beyond the initial area for a fee, though at the moment there isn’t much available at all for purchase for the game. Nice, and clearly just the beginning of the transition of MMOs to mobile devices (along with the increasingly prevalent mobile enhancement of traditional PC-based MMOs). 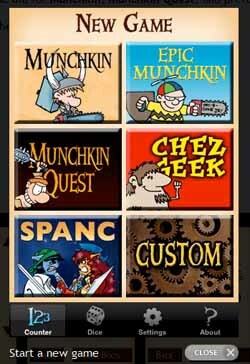 Steve Jackson Games has created a Munchkin Level Counter app for the iPod Touch and iPhone. 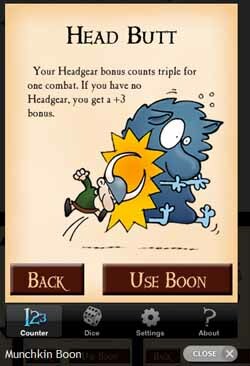 The app not only provides a helpful level counter to keep track of your progress, but also includes a “Boon” option which the player can use once per game and awards one of 150 in-game advantages such as treasure or yet another way to stab your friends in the back. A bit pricey at $4.99, but I’m sure they’ll sell plenty of these. 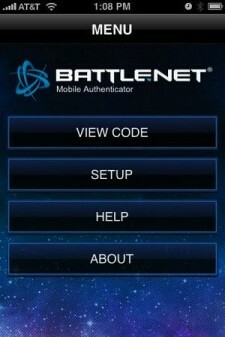 WoWInsider reports that the Battle.Net mobile authenticator is now live in the iTunes store for the iPhone/iPod Touch. 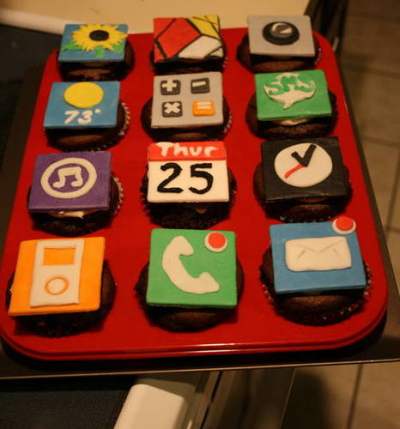 Nice iPhone cupcakes. Of course what they don’t tell you is you have to wait three weeks for approval from the iTunes App Store before you can actually eat them.